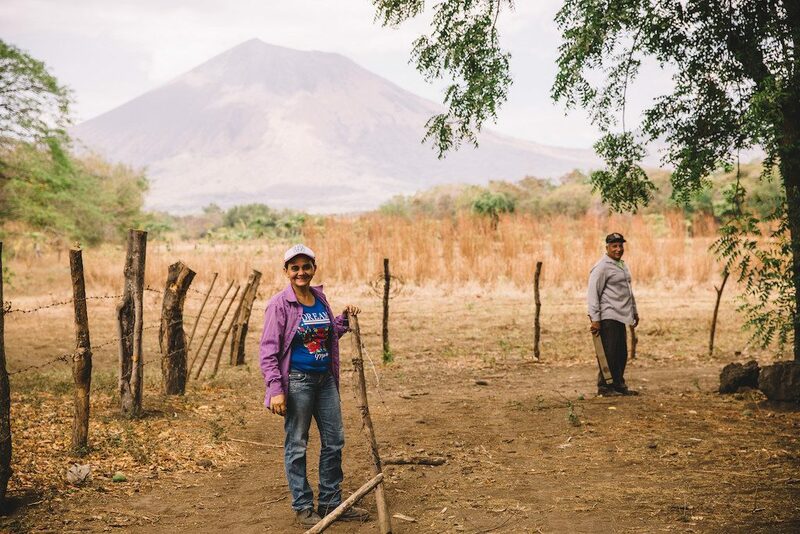 Petrona and Jacobo’s backyard is truly unconventional – the highest volcano in Nicaragua, San Cristobal, can be seen from the window of their humble brick house. The farming couple recognizes how atypical their lives can be, especially when it comes to breaking down social stereotypes. 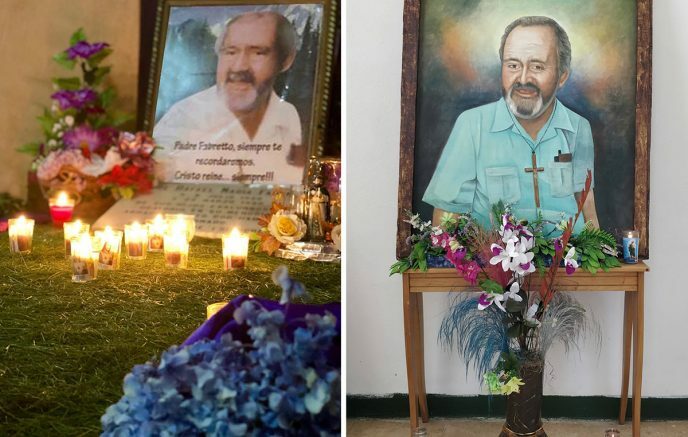 In most Latin American countries machismo is a great challenge and Nicaragua is no exception. 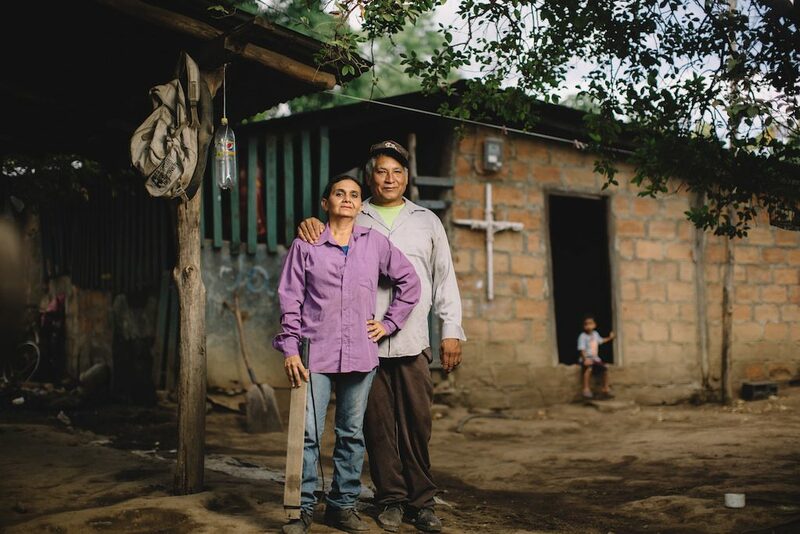 Patriarchy continues to be deeply rooted in rural communities such as El Pellizco, Chichigalpa, part of the Dry Corridor of Central America, where Petrona and Jacobo live with their 5 children and grandchildren. “Women in my community are not used to working alongside men… that’s why they call me crazy, but I’ve gotten something good out of this madness,” says Petrona proudly. A typical working day for the farming couple starts at 4:00 am; long sleeve shirt, hat, machete and pickaxe are indispensable. 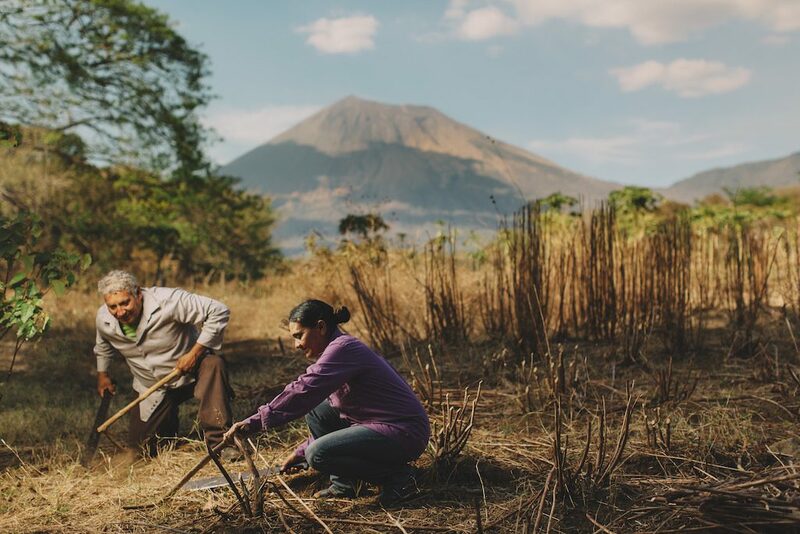 Each grain that Petrona and Jacobo manage to sell is the result of long hours of work under the sun, side by side, without distinction of gender roles. “That’s the way we are, where one goes, the other follows,” says Jacobo. In fact, recently, the couple completed 28 years of working as a team, contributing equally to the family’s income. Although they confess that they have not always done well, today they own a plot of 3.48 acres of land, where they grow sorghum, rice, and corn for personal consumption but also for trade with one of the largest transnational corporations: Cargill. But life has not always been easy for Petrona and Jacobo. 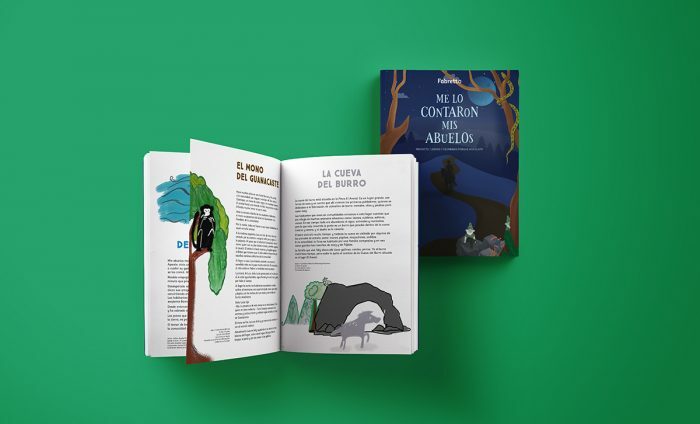 The couple has had to face the catastrophic effects of climate change, such as drought, pests, La Niña weather conditions, among other drawbacks. 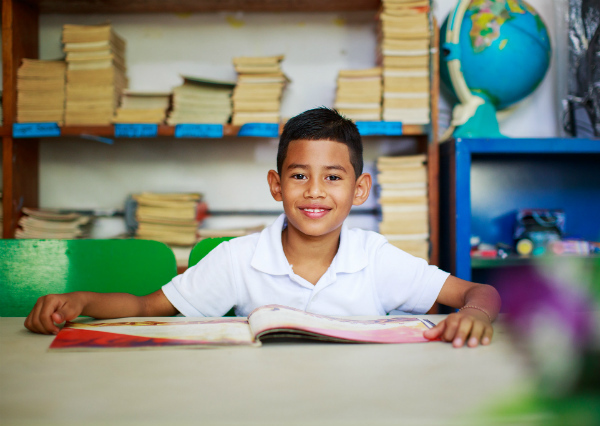 As a response, Cargill and CARE established a regional Corporate Social Responsibility project that has been implemented in Nicaragua by Fabretto since 2016. 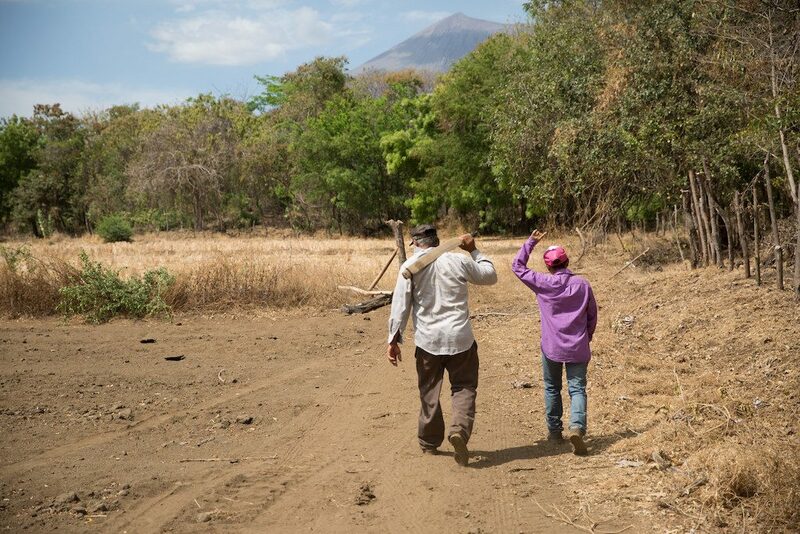 The project benefits over 300 farmers like Petrona and Jacobo from several rural communities of Chinandega, Chichigalpa, and El Viejo. “Thanks to the project, today we have an alternative for the long months without rain,” says Jacobo, alluding to sorghum, which given its resistance to drought and heat is a particularly interesting crop in arid regions. In addition, through the project, Petrona and Jacobo have benefited from training workshops, where they have learned about the importance of using organic fertilizers and pesticides, which has allowed them to produce better quality sorghum while contributing to the mitigation of climate change. Petrona and Jacobo belong to the “El Pellizco” cooperative, one of the eight cooperatives that benefit from the Cargill-CARE project. To date, benefitted cooperatives have sold sorghum four times directly to Cargill without intermediaries. This is part of Cargill’s inclusive business model, which aims at linking farming families to the supply chain. Farming members of El Pellizco cooperative, store 20% of their sorghum production to prioritize the food security of their family, mainly during times of crisis. The other 80% is sold to Cargill. “We now sell at a good price with the assurance that no intermediaries can steal from us,” Petrona explains. Taking measures to adapt to climate change has been vital for the growth and yield of sorghum, a crop that has been strongly promoted in the framework of the project for its capacity to substitute corn reserves in times of scarcity, and for being a suitable grain for human consumption. The adoption of agroecological practices such as the management of live fences and coverage of the soil with vegetation and crop residues, have helped Petrona and Jacobo, along with other members of the “El Pellizco” cooperative, to increase productivity by 35%, thus achieving self-sufficiency. After a long and tiring day of work under the sun, Petrona and Jacobo find the energy to meet personal commitments, such as attending a religious service; as usual, they go together. Petrona and Jacobo have proven to be true life partners, striving for the well-being of their extended family. “We get involved and we work equally, that’s the best example we can give our children,” comments Petrona with a big smile.